All We Like created a list of websites that can be useful for an individual's simple tasks. 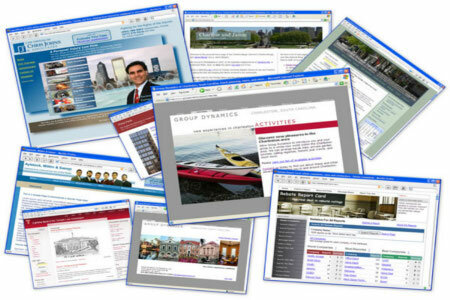 Several websites are developed or created everyday. Some of them are used for personal stuff, organization or even companies. Some are used for entertainment only. However, there are some useful websites that can help individuals on their simple daily tasks. That said, All We Like listed several cool websites that can be useful for your simple daily life. alertful.com – a website that quickly setups email reminders for any important events that you should attend. boxoh.com – a website that tracks the status of any shipment you made through Google Maps. chipin.com – a website that can be used if you need to raise funds through internet for an event or a cause. coralcdn.org – if some sites are down due to heavy traffic, you can use coralcdn to access those websites. dropbox.com – provides a 2GB of storage and sync files. humyo.com – provides 10GB of free storage to users. e.ggtimer.com – provides a simple online timer for your daily needs. isendr.com – a site where users can transfer files without uploading it to server. mint.com – syncs with your financial accounts to help you monitor your budget. mywot.com – a site that checks the trust level of other websites. passpack.com – a website that manages all of your online passwords. umbrella.com – a site which tells you if you have to carry an umbrella in that day. wetransfer.com – a site where it enables users to share tremendous file online. whisperbot.com – a useful site if a user plans to send an email without using his own account. snopes.com – a website used to find out if an email that a user received is real or just a scam.